Proptech is an interesting space to be immersed in right now. Hearing from our home-grown innovators and reading about emerging technologies globally, one would be forgiven for thinking that the tide has turned; that the industry en-mass has embraced this transformation and that consumers can rightly expect their quest for a home to be conducted in the same way as the rest of their engagements and transactions, online. Unfortunately, this is not the reality. As so often happens, we find ourselves preaching to the nodding choir, sharing insights with people who readily agree, inspiring innovation within already-innovative firms, measuring risks for risk-taking organisations. If your estate agency or property business falls into the category above, this article is not for you. You already know that change is coming and you are preparing for it – although you might feel a little confused, yet excited; overwhelmed, yet hopeful, please stick with it. While we might not be speaking the same language just yet, there is a mutual desire to understand each other and that is enough to get started. To the silent majority of firms, adopting a ‘wait and see’ approach, the message is clear – we need you. At a recent proptech event the discussion turned to industry adoption rates, specifically, what percentage of the industry needs to embrace change for it to have a truly transformative effect. The near-consensus was 10%. I do not accept this; 10% is simply not enough and it is potentially harmful to allow estate agencies to believe this. The most impactful new technologies we have seen under proptech – which is a broad church – have come from outside the industry. Industry innovators tend to focus on improving existing business processes. The main threat to ignoring these types of changes is the firm losing competitive advantage. But consumer-driven innovation is an entirely different animal. This has the potential to disrupt not only how you do business, but whether you do business at all, as these disrupters have no respect for the status quo. This is the real threat to the industry. As industries evolve, business and professionals within it must find new ways of serving and adding tangible value to consumers. We have already seen this in the real estate sector almost two decades ago -the original proptech revolution – when property portals took on a huge chunk of the estate agent’s role. They might well have been supplanted at that stage but they found ways to work with these portals rather than against them. I am not sure that it will be so easy this time around; I genuinely believe that estate agents, as a profession, will need to find more impactful ways to add value as their buyers, sellers, tenants and landlords tap into innovative new offerings, directly available. It goes beyond aspiring to ‘best practice’, it is a business imperative. I am not convinced that the industry has the appetite or ability to get out ahead of these expectations, to give consumers what they do not yet expect – I want to be wrong about this. Perhaps this will be the part of subsequent waves of industry innovation but we are not there yet – dare I whisper ‘Proptech 3.5’? In my experience, there is no great understanding about the value and scope of data among traditional estate agencies. It is true that Facebook and other technology giants highlighted the lucrative business of data but only in the most abstract of ways. Of course, if the State and EU authorities are going to such great lengths to protect it (GDPR), it must be something valuable, right? But that’s where it stops. This is the first area for individual firms to get right in my opinion. This is also true for start-up innovators who are sitting on potentially actionable data without even knowing it. After all, surely one of the key value propositions of an estate agency is the local ‘data’ it possesses – registers of potential home buyers, local knowledge of prices, statistics and future potential of an area based on planned (and even zoned) developments. How might this local data, correlated with social insights, and both national and international open source data sets predict behavioural and social changes to identify early stage buyers and further connect the dots between the buyer and the seller in a way that yields, more efficient transactions that generate a higher turnover for the estate agency? There is an Irish company working on this right now to surprising effect! On the subject of Blockchain technology, like many others in my position, I am excited to explore the possibilities and can see the potential uses and transformative benefits for property transactions. But, at the moment, the gatekeepers of our transactional infrastructure – mortgage lenders, solicitors/conveyancers, estate agents and their respective regulatory bodies – are simply too embedded to even start to create the cultural shift needed. 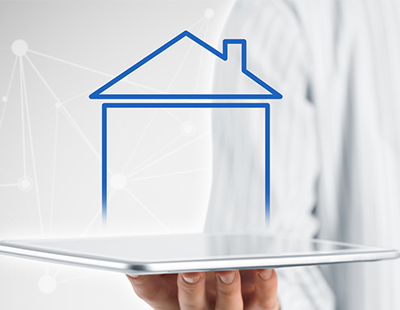 Focusing the proptech conversation solely on Blockchain gives individual estate agency owners a licence to sit back while the bigger firms that can afford to explore these more disruptive technologies do the heavy lifting. The reality is that we need both. The industry needs jolts of true disruption to puncture holes in the status quo, these holes open up space for the types of innovation that allow for service improvement, for example, more creative VR marketing approaches or perhaps, more integrated IT solutions that allow for real time, transparent bidding from mobile devices. This type of technology has existed for several years now, yet agencies are slow to embrace it. As an industry, despite what they say, estate agencies have repeatedly shown that they are not comfortable with transparency. This is surely the first perch from which providers will be knocked. No service provider can exist outside of our ‘Trip Advisor’ culture, we are all subject to ‘rate and review’ in our transactions and dealings with consumers. Objectively speaking, estate agencies start on the back foot with this as, historically, it has not been a trusted profession. This is not my opinion, it is a long-established reality and one that I wish were not the case, but it is. Recent decades have not done much to endear the profession in the minds of people, however, the increased transparency, efficiency, and effectiveness of communications might actually help to shift this. Isn’t it ironic to think that the very changes many agents are resisting, might actually be the PR balm they have long been waiting for? Finally, I think it’s important to spell out that at some point a decision will be made; as an estate agency boss, you will be standing squarely in the opportunity to embrace a new way of doing business. The only question is, will you lead your firm to be a pioneer or a de facto prisoner of the future? By Carol Tallon, Strategic Planning Director and MPRII at PropertyDistrict.ie, founder of prop-tech.ie, Ireland’s industry resource, providing a bridge between industry innovators, investors and professionals.